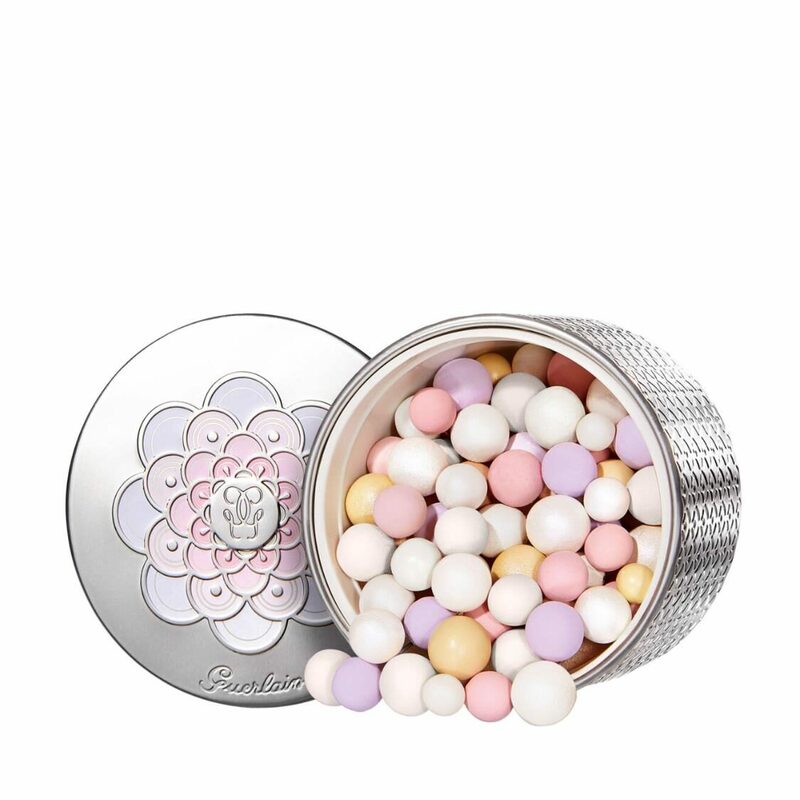 Recommended: Sweep the pearls over the face with the Météorites Brush. Apply the powder evenly to entire face to set makeup and improve hold. For a boosted radiance effect, illuminate the curved areas of the face by tracing a “G” from the center of the forehead towards the top of the cheekbone, then from the bridge of the nose towards the chin.